Whether a rookie or a veteran, most teachers feel nervous upon returning to school for a new year. As the hubbub of the first day fades away, students’ names and faces become familiar, patterns are established, and nerves dissipate; it's time to settle down to work. But beginning-of-the-year work goes beyond lesson plans and memorization. In order to build lasting and impactful learning relationships, teachers must also secure students’ trust. 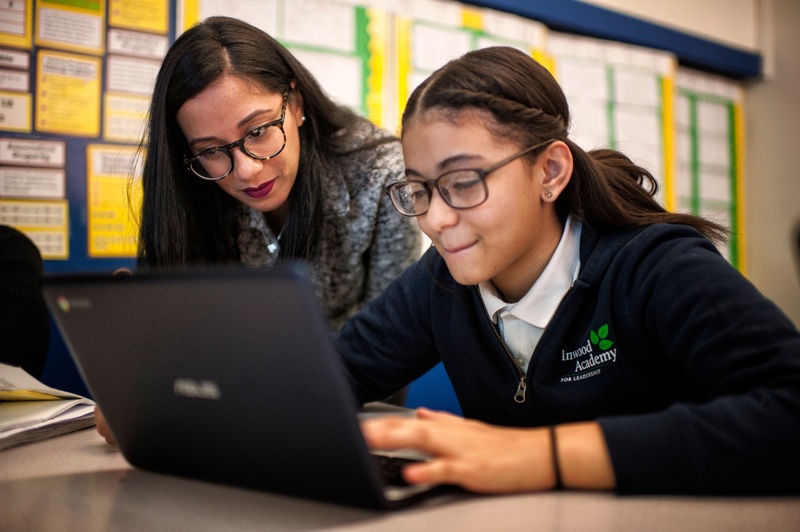 And there’s no exact blueprint to building trust.­ As Ben Johnson, an administrator, author, and educator says, "Unless they trust us, [students] are unapproachable." It’s an essential part of the learning equation. Research backs this up. Dr. Melissa Koenig, Director of the Early Language and Experience Lab at the University of Minnesota, has found that children "are selective in whom they learn from based on whether they trust the source.” Students must trust their teacher, and also their teacher’s grasp of the information at hand. On a more personal level, the research of Dr. Stephen Brookfield, endowed professor at the University of St. Thomas in Minneapolis, Minnesota, finds that students who don’t trust teachers will not take chances in class. They hold back questions and thoughts, “unwilling to submit themselves to the perilous uncertainties of learning,” as Brookfield writes in his book, The Skillful Teacher. The importance of building trust with students from the beginning of the year is clear. How can we, as teachers, ensure we accomplish this? Here are five tips. As teachers, we must recognize what our students say and consider their ideas. The respectful atmosphere lets students know they are in a class where all ideas are valued. This will make students feel comfortable sharing their ideas and thoughts, even those who may not open up as quickly. In the classroom: When a student shares ideas, thank him or her, and offer praise when appropriate. When possible, quote or refer back to ideas shared by the student(s). This helps students recognize how their ideas are part of the conversation and appreciated. And make sure to name drop. I've seen and heard students tell their friends, who are not even in the class, about the contribution they've made. It can make them swell with pride. We, as teachers, must be willing to share some of ourselves and be vulnerable. This will serve as an example to our students. For example, you could share a short story about an event that happened over summer break. Let the students see that you are not only a teacher, but have a life beyond the classroom. Students will be able to relate to this three-dimensional version of their teacher. In the classroom: At the beginning of the school year, many of us ask our students to share information about themselves in order to get to know them. Teachers should also share about themselves. Include information you are asking for from the students (for example, if you ask your students about their favorite hobbies, share your favorite hobby). I also allow students to ask me questions and have had students bring up the information shared throughout the school year. Ultimately, students expect their teachers to be experts in their field. When a student makes a mistake and requires assistance, we need to be there to help thoughtfully. We should share our knowledge and experiences to help students discover their own. Students will recognize that we sincerely want them to learn. In the classroom: When the school year begins, we are particularly concerned that our students feel comfortable in class. Correcting a student may leave him or her feeling shame and ultimately shutting down. Yet, sharing the right answer (or another way to look at things) with the student and the class lets them know the goal of the class is to learn. The class is not about right and wrong – it's about learning. When we help students learn something at the beginning of the year, they become convinced that the class has something to offer. As the authority figure in the room, you will face challenges. When authority is tested, we need to be consistent in response. However, responses should be consistent in action, no matter the students involved or the time of the year. When our students recognize that we can handle the room and do so in a reasonable manner, they will feel more comfortable in the classroom. In the classroom: When an action warrants discipline, refer back to the class/school rules which should be posted in the room. This is particularly important in the beginning of the school year. Whenever possible and depending on the behavior, talk to a student privately in a calm and quiet voice. Students who see the interaction will recognize that the teacher is striving to understand the situation. They take from this the teacher will strive to understand them as well should a situation arise. We should be flexible and consider adjusting teaching style and even substance (within the expected curriculum) based on the students in front of us. When we are adaptable and open, our students get the message that the process is for their benefit. Therefore, our students will be encouraged to be partners in the process. In the classroom: Some schools/programs/classes are scripted, and students are expected to act in a particular way. However, our students do not get the script, so sometimes the script has to be flipped. Consider the teacher who used modern events to teach her students Antigone. By pulling in more relatable context, the high school students connected with Antigone as classes before them had rarely done. A classroom full of students who trust their teacher is instantly recognizable. It's a classroom where students are actively engaged and learning. Try these tips, and build your classroom into one where trust can flourish.